Here is an excerpt (not posted before) from a new book collecting much of what I have written about marriage and the dharma. If you would like to hear the introduction as a podcast, it is here. The outer signs of marriage include the legal document for the state and usually some form of ceremony, but those are just the external signs of marriage. As many religions point out, marriage is a sacrament, meaning that it is sacred, and whatever makes it sacred is what causes two people to marry. In other words (and IMO), what is more important is an inner event that happens before the marriage ceremony takes place. I am not saying that in this modern world that every marriage is triggered by a deep internal event, because the divorce rate would suggest otherwise. It is my belief that many divorces could be avoided with just a little remedial mind-training. In these articles I am only concerned with marriages that come from some kind of deep (and spiritual) discovery, shared by two individuals, like the act of falling in love. I can't speak for young people today, but in the world I came up in (1950s-1960s) finding someone to love (and falling in love) was on just about every young person's mind. As for marriage, we all knew or assumed that true love led to union or its equivalent legal form of marriage. I spent many years searching through this world (and wondering after every young woman I met) to see if she was "the one." I was afraid that a moment's inattention on my part and she might slip by me unnoticed. When I finally met my wife, I immediately understood that could never have happened, because there is no way I could have avoided her, and that is because falling in love does not come from outside us, but from within. We have it within us and it happens when it happens, not to say that I think of it as a game of musical chairs. There are just a few main points in this article that I want to make and one of them is to say something about falling in love. There apparently are different levels of love, but a general axiom might be: if you have questions as to whether this current person you are infatuated with is the one for you to marry, chances are that he or she is not the one. Keep going, because real love imprints itself on us such that there is no doubt. After all, that is what falling head over heels in love is all about. Among other things, when we meet our destined partner, any uncertainty is lost. We become, as they say, starry-eyed. In my own case, as a prominent local musician on the Ann Arbor, Michigan scene, I had many opportunities to meet women. And women seem to like musicians. Even so, I did not jump at just "any" opportunity, but was rather selective. Of course, the sad part is that I had never been in love to the point of marriage, so I was kind of feeling my way along here. After having finally met my wife Margaret, I then knew (in hindsight) that falling in love was nowhere near as subtle as I had imagined it might be; I was just shy. After all, marriage is intimate, intimate beyond imagination as those of us who are married well know. Nor was finding the right woman for me as simple as adding up attributes on a checklist to see who has the highest total, not that I ever really did that, but there was something like that going on, checking girls out. There was a bit of the "Eeny-Meeny-Miny, Moe" every once in a while. Actually meeting Margaret was more like being hit with a sledge hammer as far as impact goes, but, of course, much nicer. It seems that Mother Nature is not subtle in this department, and that she takes no chances. Guesswork on my part was not needed, because falling in love is a life changer. Even a little thought beforehand would have told me that, but I never thought about it that way until after I had experienced it. And I had been in love before or at least infatuated, and as great as that was, it was remarkably different from what happened when I met Margaret. For one, all of my infatuations lacked the overriding sense of compassion that I felt with Margaret or my desire to care for them personally. We were not one, but more like me over here and them over there – two separate people. The marriage vows that we recite publically and that are taken so seriously by society are, themselves, just a sign and signature of a much deeper experience that has already taken place deep within us before the ceremony. The day of our actual wedding, while nice, was logistically (and otherwise) somewhat of an ordeal. And, as painful as it might be to hear, my advice is that if you have not fallen in love enough to change your life forever, then you may not have fallen in love yet. Infatuation is strong too. I used to think that falling in love was when two people merge and become One, but after the experience of actually falling in love I would now rephrase that: two people together realize that they are already "One," one love and two people. This can be a subtle distinction, but I spell it out for you in more detail later in my own account of meeting Margaret. After some fifty years as a counseling astrologer, what most of my clients ask and care about is love, relationships, and marriage, almost every one, and especially ladies. Men are a little more shy. What is remarkable through all those years of working with people and listening in extreme detail to their relationship stories is that almost all relationships have problems and the problems are almost always the same problems. Everyone seems to have them, and they don't just scratch the surface, but dig deep grooves in the relationship that are not easy to solve or remove. Yet I believe most of the problems can be resolved, with some effort. If you believe that solving the problems in a marriage should be as easy as falling in love was and getting married, guess again. And my next statement will most probably not be appreciated, but I offer it just the same. 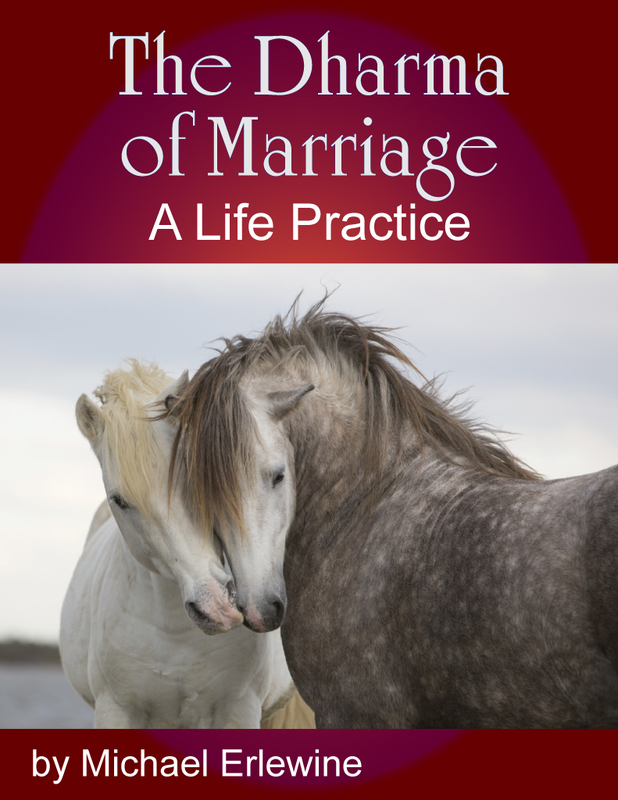 Although many couples trying to save their marriages that I counseled sought out various forms of therapy and counselors, that therapy, while useful at first, in the long run petered out and was eventually abandoned, and I will tell you why. It is not because the therapist was not qualified, although from some stories the therapist were more messed up than their clients, but because ultimately someone else cannot solve what only we can solve for ourselves. And I have an actual dislike for those therapists who end up habituating their clients to their services, so they become hooked like addicts. Avoid them is my advice. The true counselor or therapist, IMO, is there to provide methods that their clients can use to work on themselves, and none of the methods I am aware of should take more than a session or two to explain to someone. Again, that is just my experience. I am not saying there are not good therapists out there, but I believe they are rarer than people imagine. In my own case, and I have been married for going on 44 years, the only methods of resolving marriage problems I have found that are actually useful, at least for me, are the ancient mind-training methods of the Tibetan Buddhists. They actually work, and they will be the methods I share with you here. I am not saying not to go to therapists and counselors, but if you go, it will take more than talk to solve your problems, and IMO the money spent and time taken to have endless therapy are much better spent working on yourself and saving that money. In other words, I am not offering you therapy here, but just presenting a method that is over 1,000 years old and has been vetted and found sound. I have spent over forty years studying, practicing, and working with Tibetan Buddhist methods of mind training, and this includes most of the traditional practices, beginning, middle, and advanced. Marriage has all of the components of a true dharma practice (or very close), although marriage is a difficult form of practice because it involves two practitioners and there is a lot at stake, like: the marriage. However, if your marriage is already rocky and both partners are willing work at it, these Tibetan mind-training methods actually work, but it will take real work on your part. If only one partner is willing to work on the problem (and the other uninterested), it still can be done, but it is proportionally more difficult. It is kind of an oxymoron to consider solving marriage problems with only one partner. It takes two to tangle, and two to untangle. A popular myth with newlyweds is that the two of you are going to work side by side at the same task, like a synchronized swim team. This sometimes happens, but not as often as you might think because, aside from sharing love and life, a couple still consists of two persons, and two personalities. And these personalities were made separately, before meeting one another, and they can be very different – backgrounds, upbringing, etc. Yes, when push comes to shove, we work side by side to stem the tide, but left to our own devices, we can naturally drift apart into what is appropriate to our personality, upbringing, and lifestyle. And they usually differ. Pretending they should be the same is an exercise in futility. What "is" shared is the mutual concern for each other, caring and treating your partner as you would your self, and putting their interest on a par with your own or even ahead of your own. This is something that should have been naturally imprinted when you fell in love, since that is what falling in love is all about, suddenly finding that another person is already sharing your world, a common life and sense of unity; the two are found to be one. In other words, marriage results from the first time that you discover that you care for another person as much as you do for yourself. We also discover, soon after we are married, that the intimacy we have with our spouse cuts both ways. We have no secrets, but we also have openly shared our weaknesses, including all the buttons that no one else knows how to push. But our partner does, and when things get edgy or go south, those buttons can get pressed and we have little to no defense. I can't think of a better or more complete situation for a effective dharma practice than a real marriage, one sealed by openness between partners, which is what true love entails. In effect, we are already alone together with our loved one, literally in the same boat. Basically everything is shared including our weaknesses. I can't find the quote, but there is an anecdote to the effect that a Buddhist monk who had completed all of the dharma practices his lama gave him and got passing grades. And his teacher says to him, and now for your final and most difficult practice, meet your wife to be." So those of us who are married have married into one of the most impossibly demanding dharma practices ever invented, so we are going to need all of the dharma techniques we can master. Marriage is like that and facilitates everything good on the upside, but when things flip around, the same openness makes each partner most vulnerable to the other. In other words, we know how to love each other, but also just how to hurt each other, and when forced to, at times can and will do that. Divorce is not only difficult, even mentioning it tends to bring out the worst in some people. My view is that marriage is irreversible and that you can't put the toothpaste back in the tube. I am not saying that divorces should never happen or that divorcees cannot find true love. Not at all. What I am saying is that the realization that leads to marriage cannot be walked back into what we were before we fell in love and got married. As mentioned, a virgin is only a virgin once, and an unmarried person who marries cannot marry again for the first time. I consider a divorced person as married, but at present not to anyone they know. The realization that led being married cannot be taken back, so IMO the divorcee is a special state of mind, neither single again nor married. A painful analogy would be a parent who has lost a child. Something has changed that cannot be undone. Enough said. We don't have to agree on this. Many people seek to justify their divorce in any way they can imagine. We all know that divorce is common, and sometimes it is a good thing. My point is that divorce might be avoided if the couple would learn some basic methods of clearing up their vision, which affects how they see and respond to one another. And a second point is that I have seen many couples who have done no remedial work, divorce, and take their problems to the next relationship and do the same thing all over again – a downward spiral. The bottom line is that no matter how many existential situations we may describe that are detrimental to a relationship, the remedy or antidote to these problems is always developing greater awareness of the situation until we can take advantage of ways to improve it. This is the value of these Buddhist mind-training techniques that have been used, as I mentioned, for over 1,000 years. This is not something that I just made up.